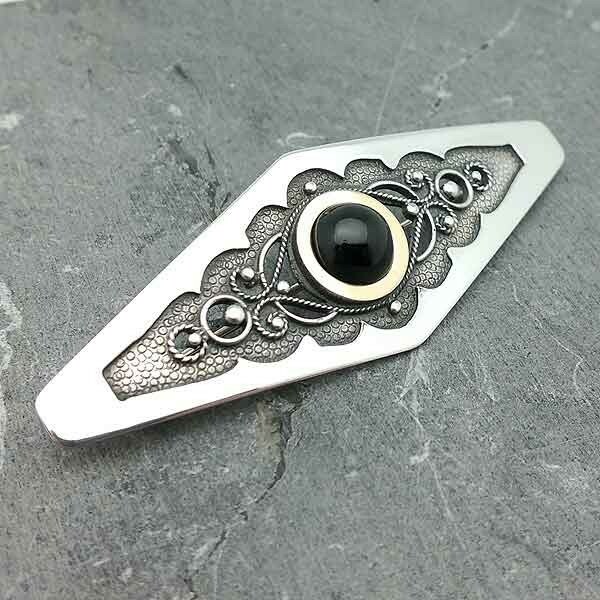 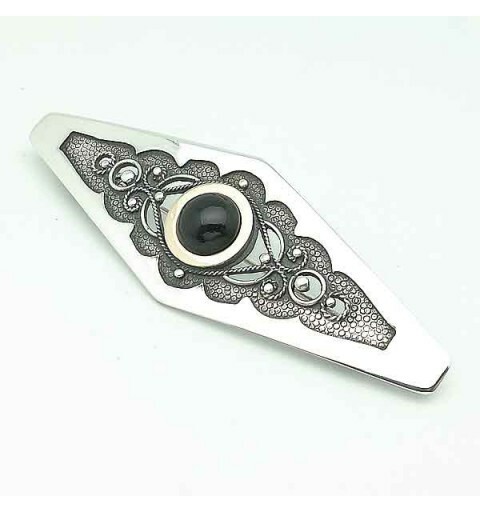 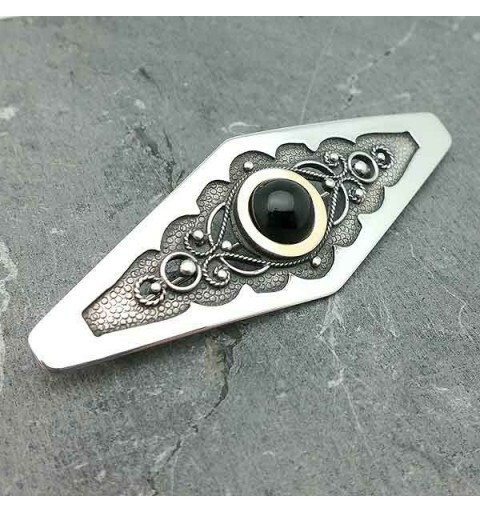 Brooch made in sterling silver, 18k gold and precious jet. 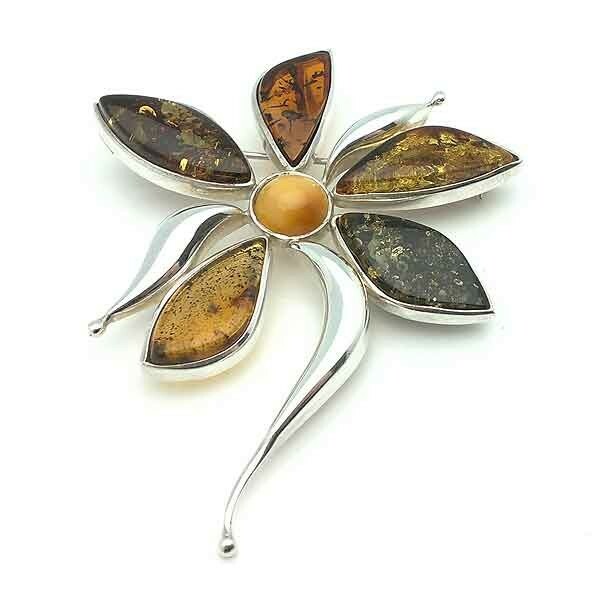 Brooch made in sterling silver, 18 kt gold and jet. 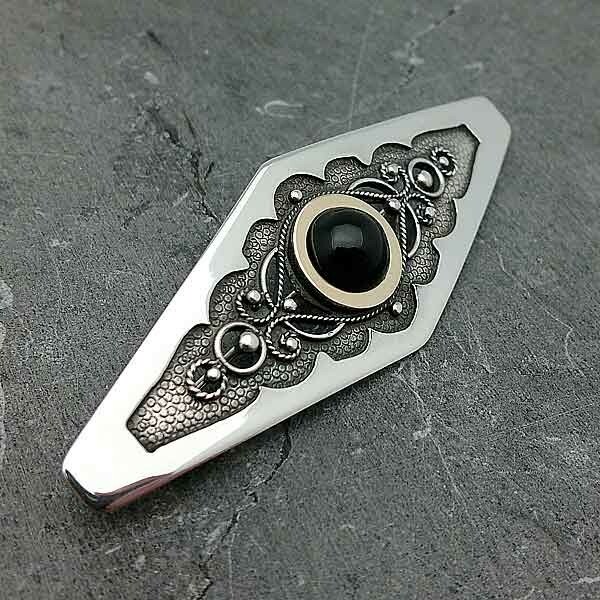 Lovely Brooch, made by craftsmen silversmiths in Santiago de Compostela in silver (925), 18K gold and Azabache Asturian is undoubtedly the most beautiful and brilliant world, is unmatched. 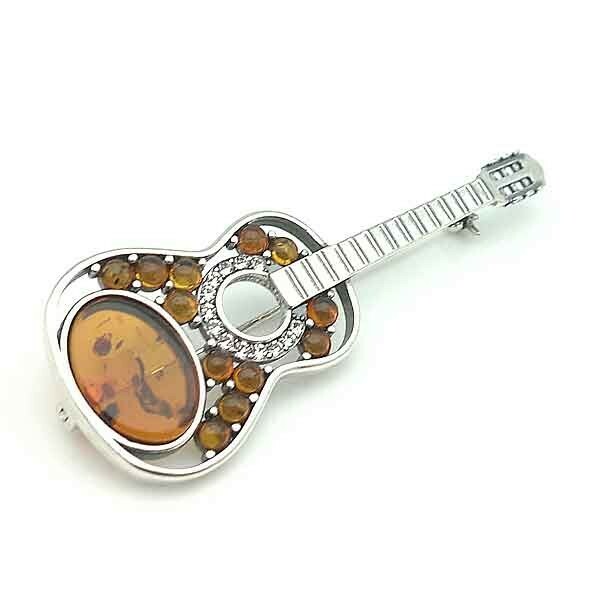 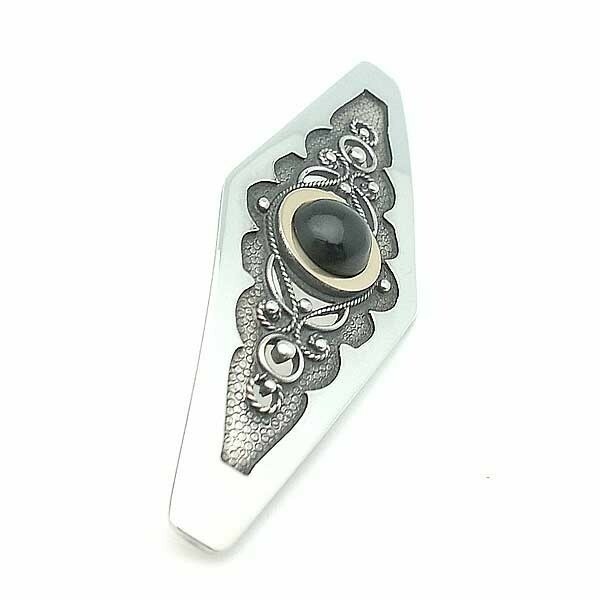 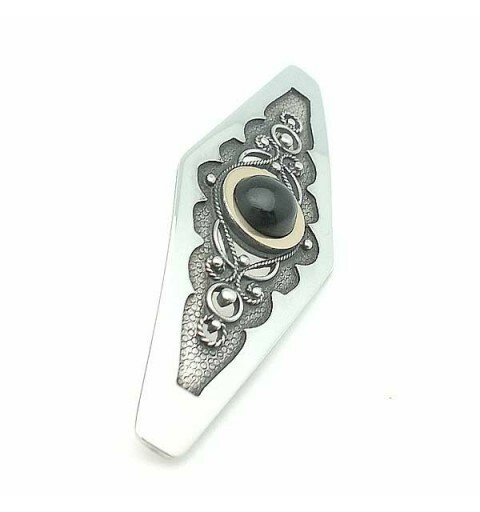 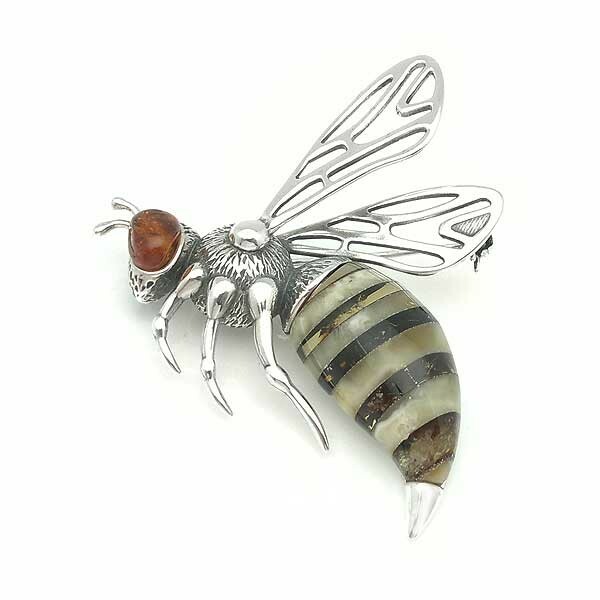 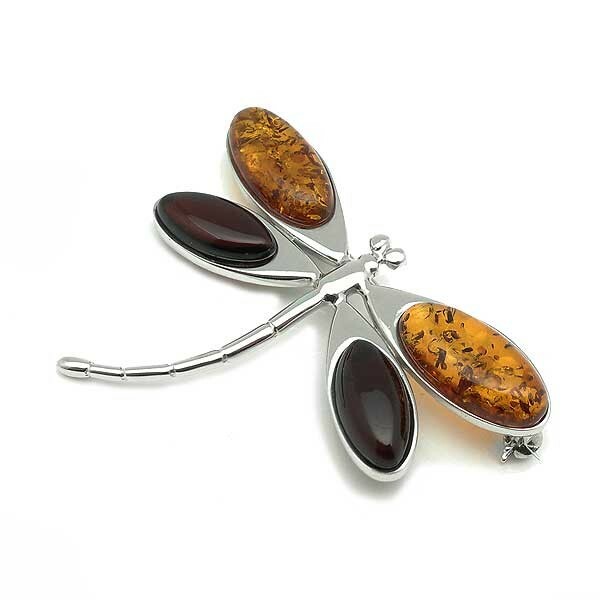 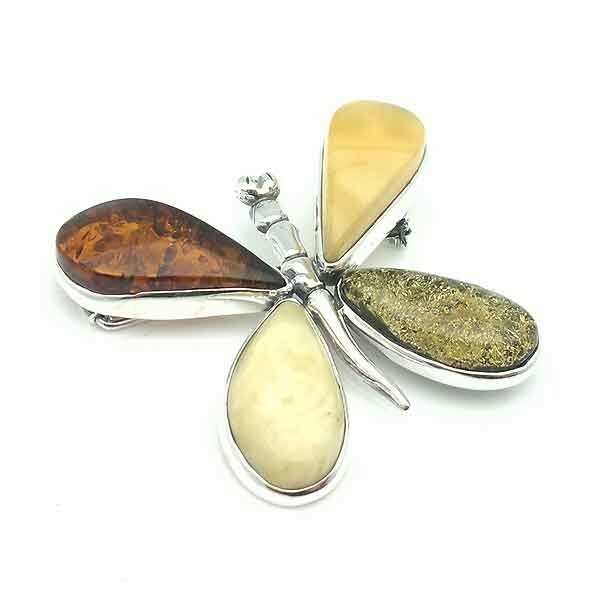 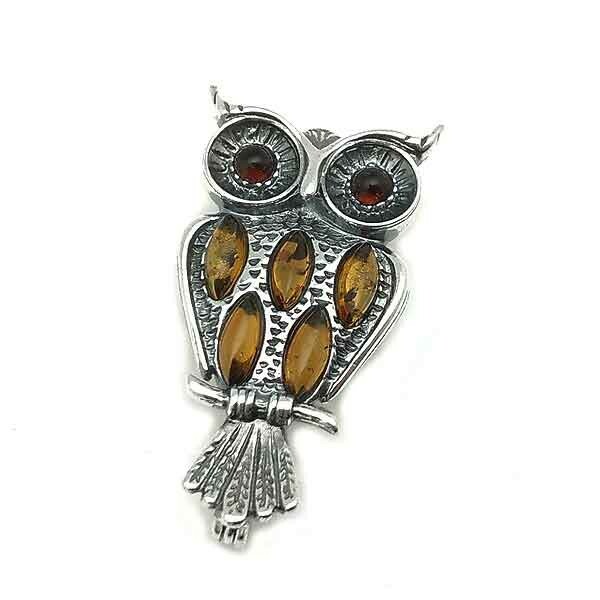 Guitar-shaped brooch in sterling silver and amber. 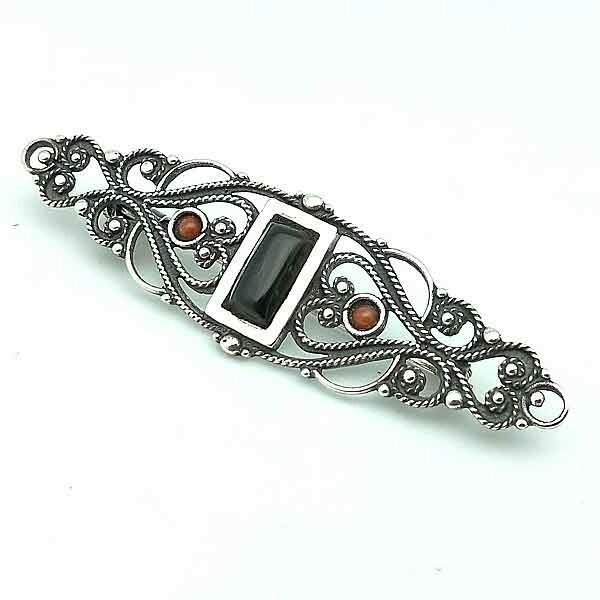 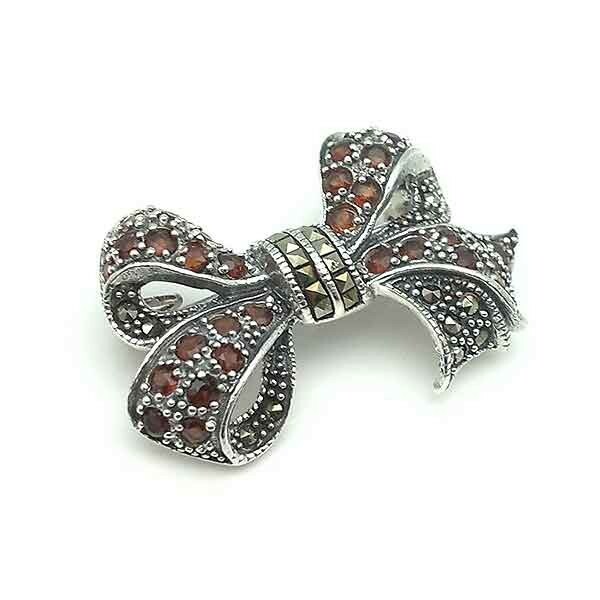 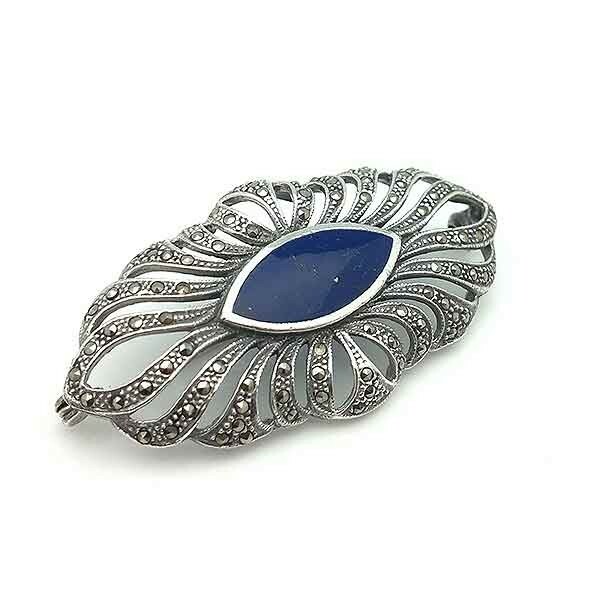 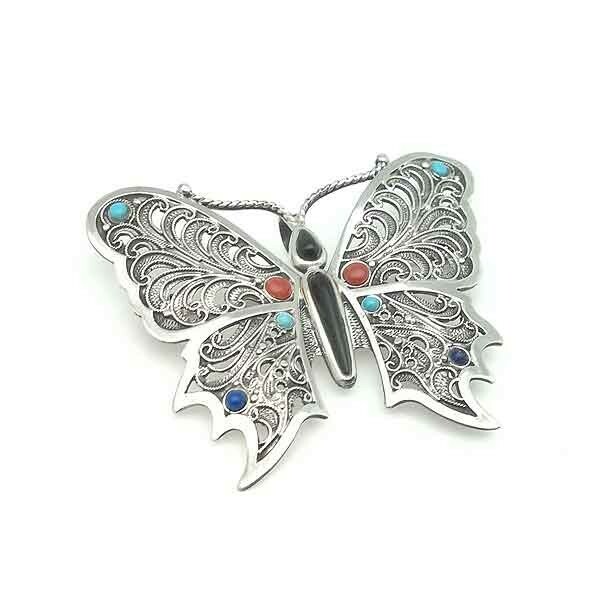 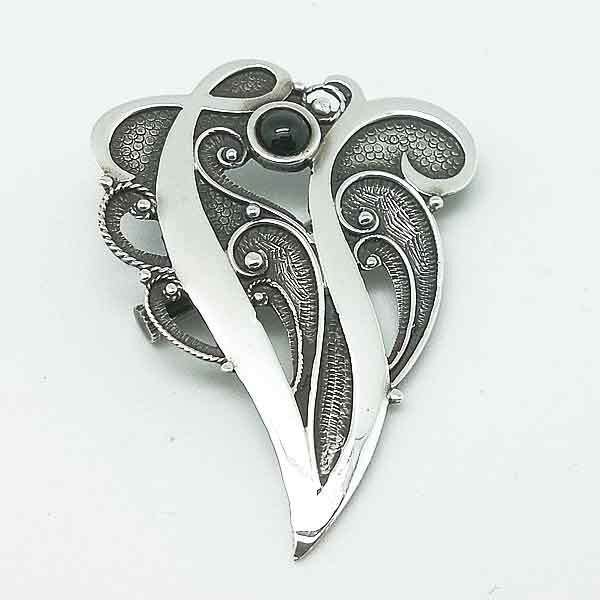 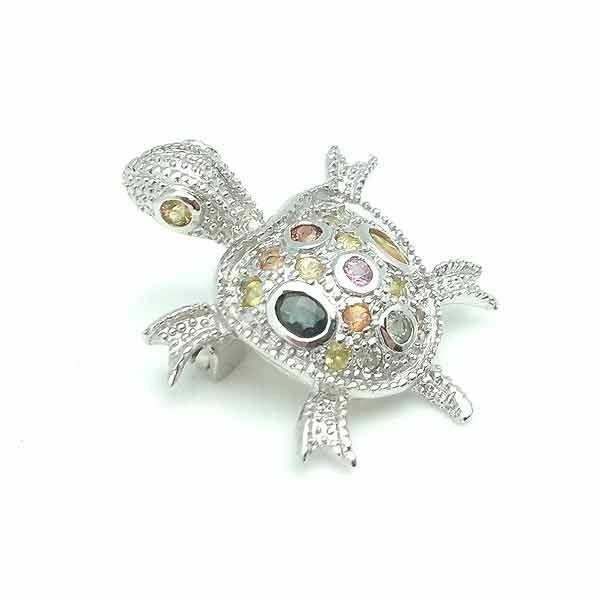 Brooch made in sterling silver and zirconias. 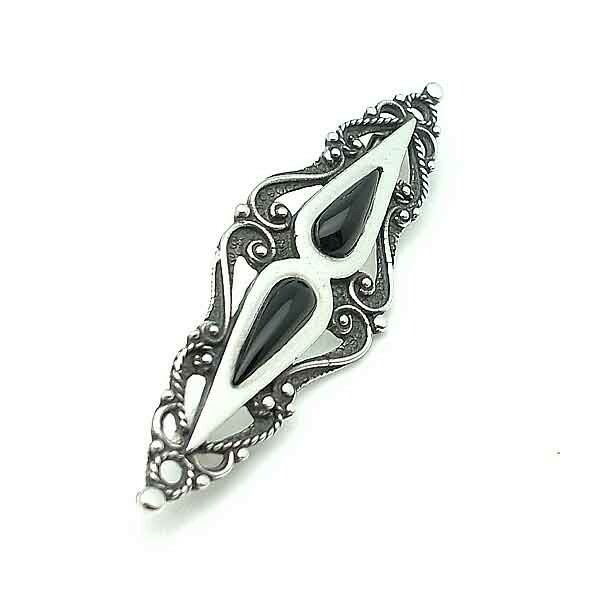 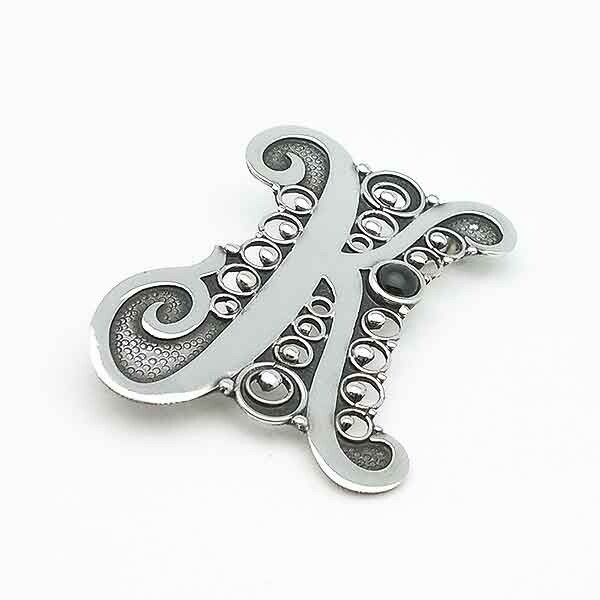 Brooch in sterling silver with loop shape. 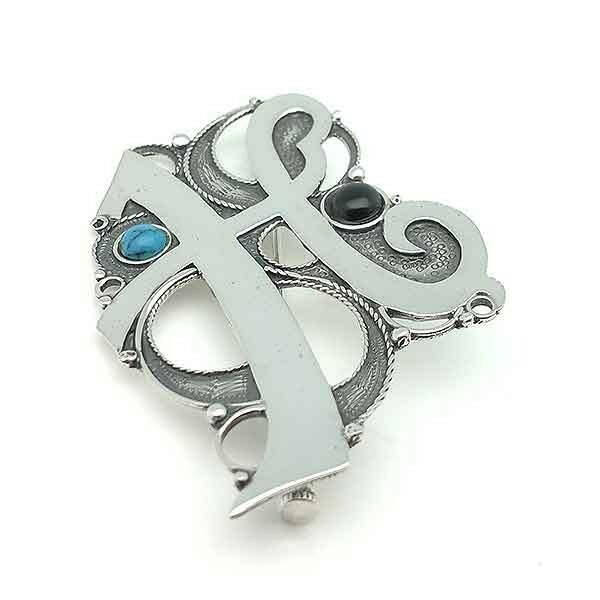 Brooch in sterling silver, letter K.